Every week, we bring you a must-hear track from the Le Guess Who? 2018 line-up. This time, we highlight a bubbly, crisp pop tune by American singer-songwriter Madeline Kenney. 'Cut Me Off' is taken from Kenney's upcoming, sophomore album 'Perfect Shapes', which will be released via Carpark at the end of this week, and was produced by Jenn Wasner, the guitarist and songwriter of Wye Oak and Flock Of Dimes. It's an upbeat song stuffed with tropical, twangy guitar lines and Kenney's mellow vocals and cunning lyricism. As the song is counted in by a robotic voice, clear, resonating guitar lines pile up on top of each other. The moment Kenney starts to sing, her voice cuts through the mix like a hot knife through butter; she's here to deliver a message. With 'Cut Me Off', Kenney reflects upon the monotonous life of today, and addresses themes of "femininity, societal pressures, expectation, value and self-worth." Towards the end of the song, Kenney finds a miraculous way to shift the song's dimension, giving it yet another dreamy texture. 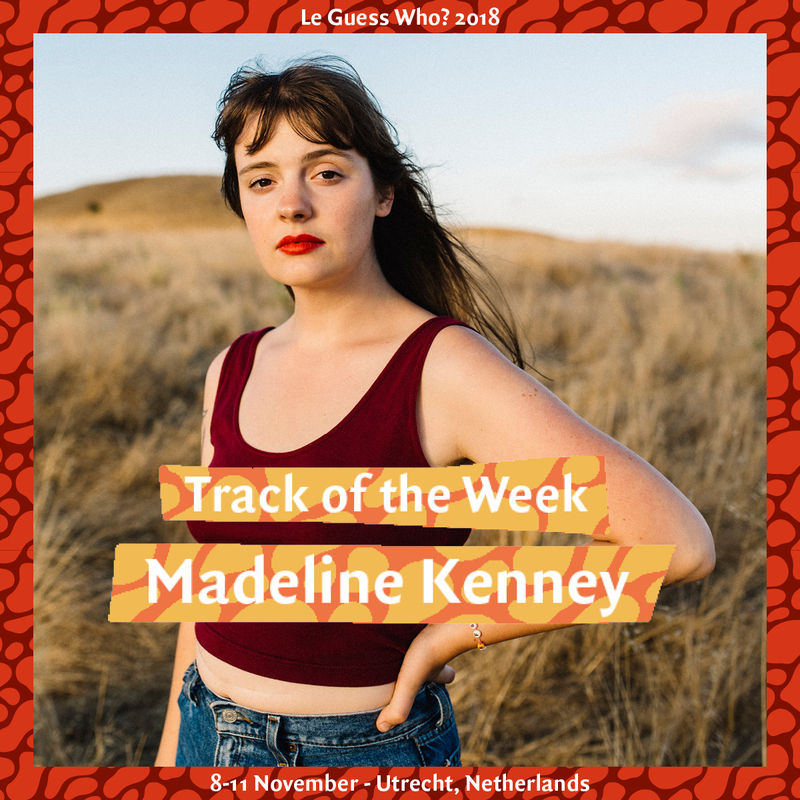 Madeline Kenney will perform at Le Guess Who? 2018 together with a.o. Tirzah, Neneh Cherry, DRINKS, Vive la Void, Miho Hatori, Kelsey Lu, Michael Rault, Kate NV, and many more.